Which skin condition do you have? Do you have areas of red skin, perhaps some dry, itchy skin or even blisters or rash? There are several skin conditions. 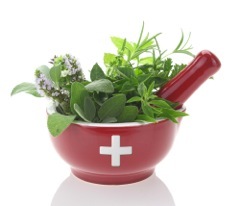 Eczema, Psoriasis as well as Rosacea and Couperose, which share a number of characteristics. And which are, in some cases, indistinguishable from each other. The two most closely related skin conditions are Psoriasis and Eczema. 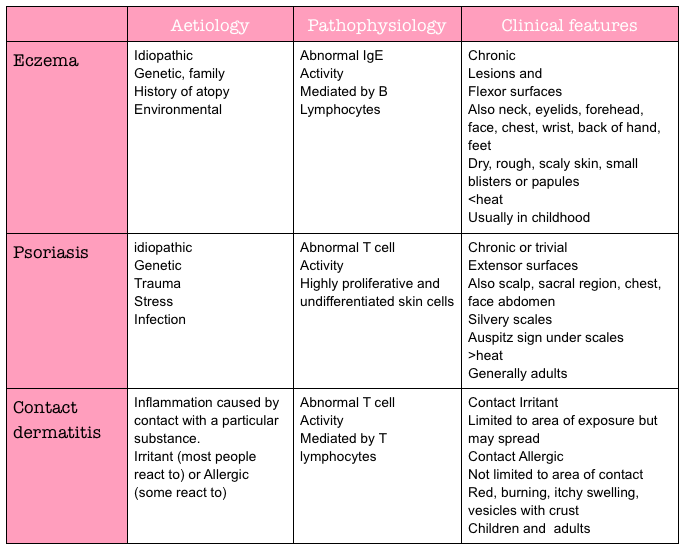 Let’s start by looking at the differences between Eczema, Contact dermatitis and Psoriasis. Eczema (Atopic Dermatitis) is a chronic skin condition characterized by red, dry, cracked and itchy skin. In addition to hot, red skin, those with Eczema may also develop crusty sores, thick skin and pimple-like eruptions. The skin may crust over and ooze, or it may become so dry and cracked that bleeding occurs. 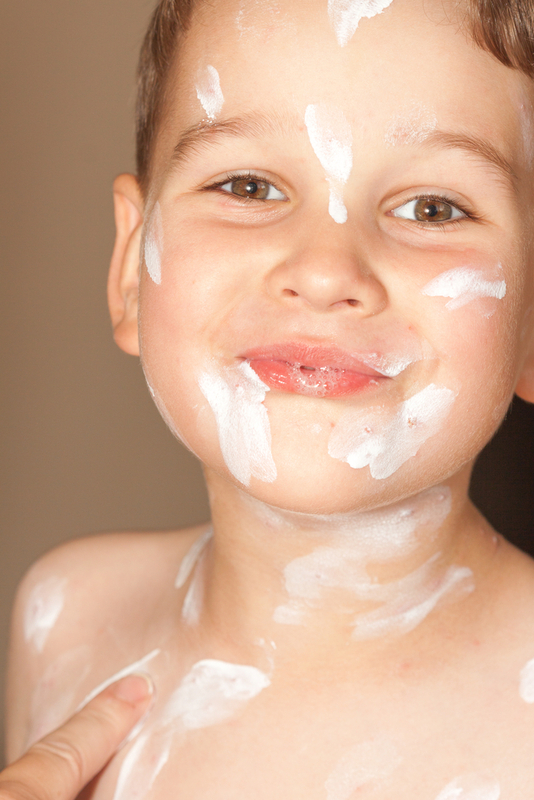 Most people with Eczema develop the problem during childhood. Psoriasis appears as red, itchy, scaly patches of dry skin. There are a variety of forms of Psoriasis, the most prevalent of which is Plaque Psoriasis. The slightly elevated, red patches of skin associated with Psoriasis are known as plaques. These often start out as small bumps which worsen and may later be covered in white scales. Skin scaling (when these white scales begin to slough off) is common. Eczema and Psoriasis are easily confused because they share a defining characteristic, the inflammation of the skin. What are the significant differences between Psoriasis and Eczema? Eczema sufferers experience extremely dry, itchy and flaky skin, but this skin condition can also cause eczema pimple-like bumps that may ooze. These fluid-filled bumps do not occur in Psoriasis. In fact, a major difference between psoriasis and eczema is that Psoriasis is never moist; instead, it produces scaly, silver patches of dead skin that continually shed. Psoriasis is often linked to genetics; this condition is caused or exacerbated by internal health issues (there is a link between Psoriasis and Diabetes, for example). Eczema, on the other hand, flares up in response to external factors, including animal dander, food allergies or exposure to harsh cleaning chemicals. Eczema usually begins during childhood (roughly 80% of cases of eczema begin before the age of 5) whereas Psoriasis typically originates in adulthood. Psoriasis prefers tougher skin (such as that on the knees and elbows) while Eczema favours sensitive areas like the backs of knees and the inside of elbows. We have very successful program for skin disorder. Try our program and enjoy life free of skin diseases.